SEATTLE -- Leonys Martin hit a game-ending, two-run homer in the ninth inning to give the Seattle Mariners a 6-5 comeback victory over the Oakland Athletics on Tuesday night. Seattle trailed 5-2 after seven innings but got a two-run homer from Robinson Cano in the eighth inning. Oakland closer Ryan Madson (2-1) came on in the ninth and got two quick outs before Norichika Aoki punched a double down the left field line. 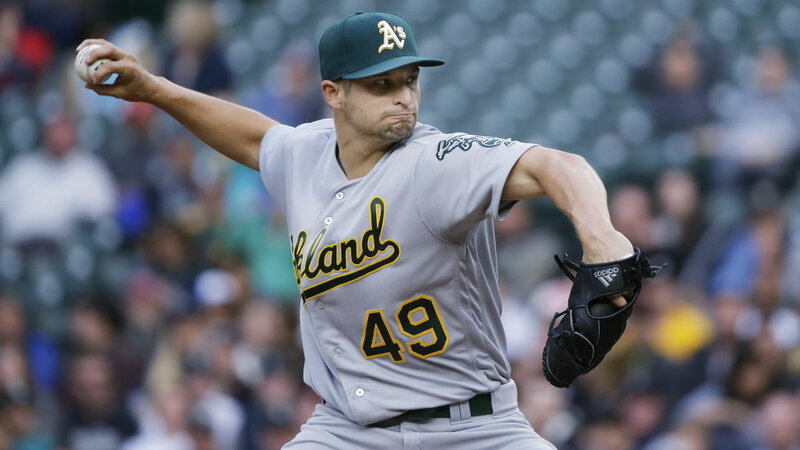 Oakland erased a 2-1 deficit in the sixth, jumping on the Mariners bullpen to complete a four-run rally capped by Coco Crisp's bases-loaded double. Mike Montgomery (2-0) threw 3 1/3 scoreless innings.